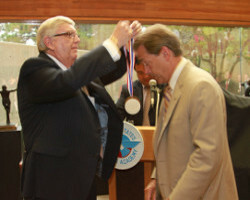 An enhusiastic crowd of Tide faithful braved stormy skies to turn out to see Alabama Head Football Coach, Nick Saban, receive the 2009 Amos Alonzo Stagg Coaching Award on the campus of the United States Sports Academy Tuesday, 18 May 2010. 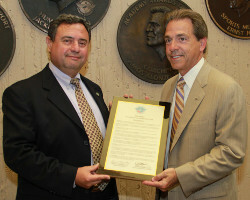 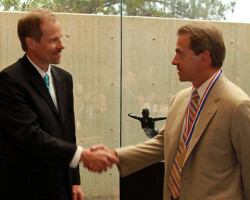 In addition to receiving the Academy’s “Order of the Eagle Exemplar” for the Stagg Award, Coach Saban also received a sculpture created by renowned environmental and 2009 Academy Sport Artist of the Year, Bruce Larsen. 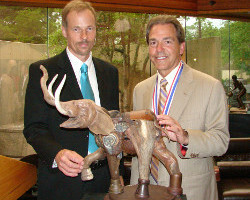 Created from materials found entirely within Baldwin County, the sculpture depicts a charging elephant, emblematic of the Alabama Crimson Tide Football Team. 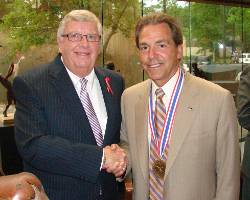 Also on the program was the dedication by Saban of the Iron Bowl Monument created by Bruce Larsen and unveiled in a January ceremony that featured Collegiate All American football players, Gaylon McCollough, M.D. 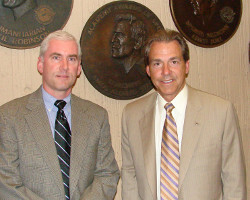 (Alabama), and Jackie Burkett (Auburn). 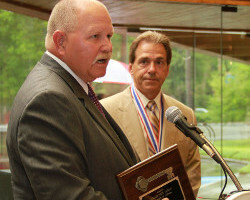 The Amos Alonzo Stagg Coaching Award is presented to that individual who has experienced outstanding achievement as a coach.  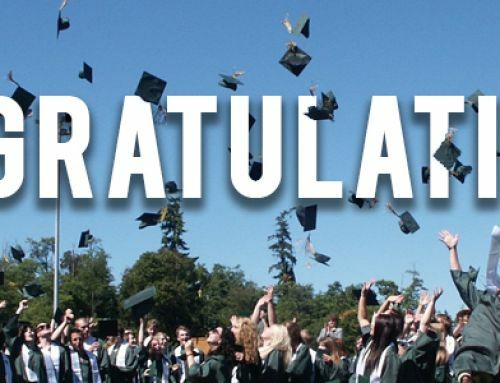 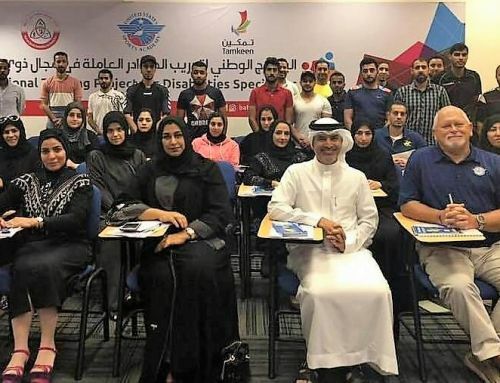 Those selected have exhibited a high standard of propriety, imagination, innovation, and character building in the tradition of great teacher-coaches. 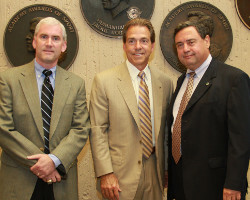 The Alabama Crimson Tide under Coach Saban went undefeated in 2009, a team that also produced the University of Alabama’s first Heisman Trophy winner in tailback Mark Ingram.